Rotherham Council is being asked to call on the Post Office and Government to reverse a decision that puts Rotherham's central branch at risk of closure. 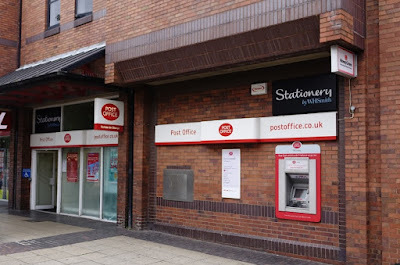 Post Office confirmed in January that it would be seeking partners for 37 of its directly managed branches as part of its efforts to secure its services in communities around the UK for the long term. A partner has been sought for the Crown branch on Bridgegate in the town centre but if none can be found, the branch is likely to close. Local councillors are concerned that there are limited options for a franchise partner. Across the UK, Post Office services are being relocated into retail stores. The Bridgegate branch has been modernised in recent years with the addition of self-service machines and retail space for WH Smith stationery. A motion is being put forward at the next full council meeting to call on the Council to write to the Post Office and Government outlying concerns. The motion is being put forward by Cllr. Taiba Yasseen and seconded by Cllr. Saghir Alam, who both represent the Boston Castle Ward which covers the town centre. That this Council notes the recent announcement to close Rotherham Post Office on Bridgegate, unless it can be franchised with a partner. We call on the Post Office and Government to reverse this decision. We are concerned there are limited options for a franchise partner in town, meaning a closure is likely if this route is pursued. The Post Office network has been reduced by more than 50% over the past 30 years and this is a step too far. Rotherham Post Office is very well used and the decision would be detrimental to customers. As a Crown Post Office it provide services that are not available elsewhere for example, with regards to driving licenses and passports, these would be a big loss to residents in Rotherham. We call on the council to write to the Post Office and Government outlying our concerns and encourage all members to sign and promote the petition against this decision.